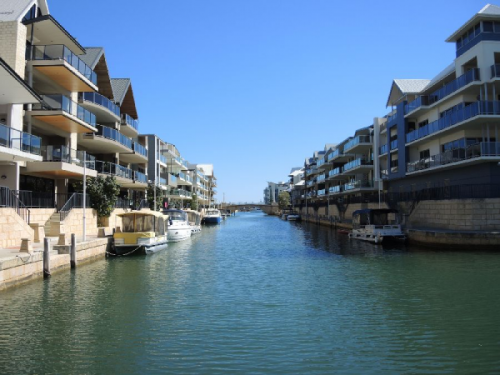 Mandurah Settlement Services has implemented a new element to its e-conveyancing electronic settlements, to benefit both new and existing customers. 1. Inconsistencies in signing documents with clients using name abbreviations ie. A Smith or Alan Smith on the Transfer and Mortgage. 2. Signing new documents or letters of explanation for Landgate (Western Australian Land Information Authority). 3. Documents being misplaced or lost, causing delays while they get reproduced. 4. Physically signing and mailing documents takes 3 to 4 days longer than digitally signed documents which can extend the settlement date. To the delight of many, property buyers and sellers looking for settlement agents can now take advantage of the new e-conveyancing offering from Mandurah Settlement Services. This update delivers clients with a positive, hassle free, experience, and transacting online reduces the likelihood of human error (a common cause of settlement delay), provides sellers with their funds quickly and buyers get their names on title almost immediately. For additional piece of mind, PEXA digital property settlements is the only process – paper or electronic – that provides sellers with protection against fraud. To customers, interested parties and those active within the Conveyancing arena, Mandurah Settlement Services has been able to do this by fully implementing digital property settlements service with the Property Exchange Australia Limited (PEXA). Mandurah Settlement Services is excited to unveil the latest benefit for current and new property settlement customers as it’s specifically designed to improve the experience and better fulfil the needs of property buyers and sellers. Mandurah Settlement Services has made a point of listening to its customers and taking feedback wherever possible. They reportedly do this because they strive to provide excellent customer service in home conveyancing to their clients because buying or selling property is a major life achievement but can also be a stressful one. First home buyers, the elderly, and busy professionals appreciate a higher level of customer service for piece of mind and knowing the property settlement will proceed without unforeseen problems. Mandurah Settlement Services has made it part of its mission to provide excellent service for their clients in the conveyancing market. The business is well known as a family owned real estate settlement agent practice with exceptionally high service standards amongst customers, which Judith Curran is immensely proud of, with the business being operational now for over twenty years. Interested parties who would like to talk with Judith and the team at Mandurah Settlement Services are encouraged to visit the website at http://www.mandurahsettlements.com.au/ for full details, or to give them a phone call and arrange a quote.